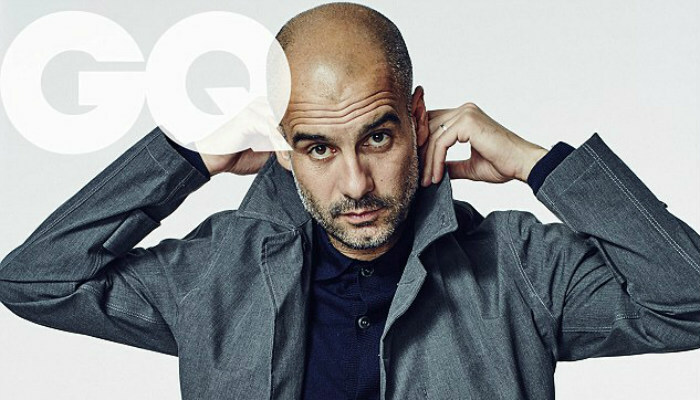 New Man City boss Pep Guardiola has made a perfect start to his journey in the Premier League, but more importantly the Spanish manager has proved to be a perfect fashionista off the pitch. After successful spells at Barcelona and Bayern Munich, Guardiola has clinched victory in all the 10 matches after taking charge at Man City as their new manager. 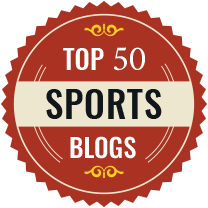 The Spanish manager has played a pivotal role in guiding his team to the top of the Premier League table and also earned huge accolades for their success in the on-going Champions League campaign. 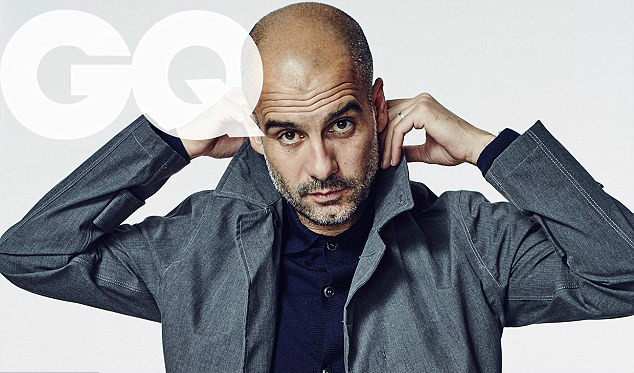 The former midfielder is well known for his unique tactics on the pitch when it comes to guiding his team as a manager but his unique style is not only restricted within the game, as now Guardiola has appeared on the front cover of Spanish GQ Magazine – October Edition. 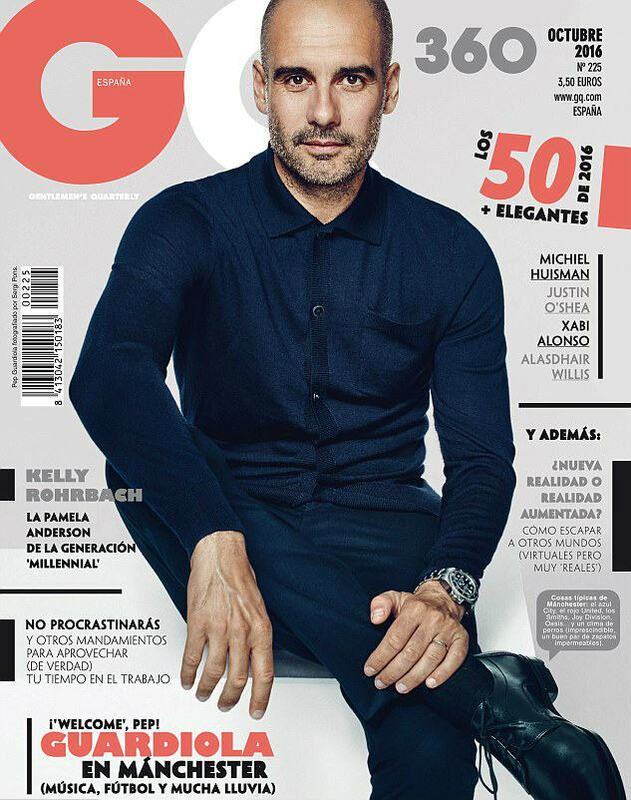 On the cover of the magazine – Guardiola is sporting a navy blue shirt and trousers, with the tagline reading: strapline ‘Guardiola on Manchester (music, football and lots of rain)’. 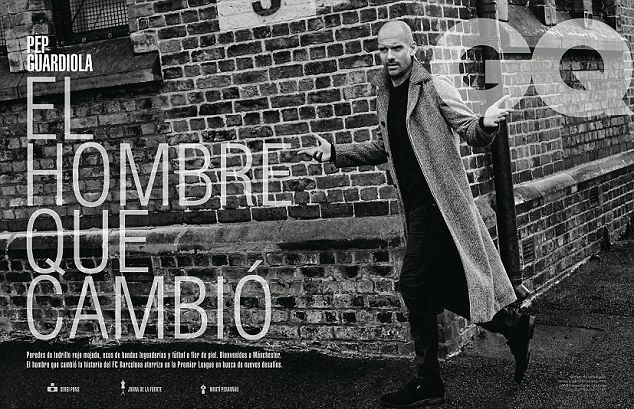 In one of the pictures, Guardiola sports a grey coat and in another he can be seen on the streets of Manchester with the tagline reading: ‘the man that changes’. The cover of the magazine also has a speech bubble which refers to the the ‘blues of City and the reds of United’ and also the English climate. The magazine cover also mentions Xabi Alonso, who is a part of the feature – ‘the 50 elegants of 2016’. 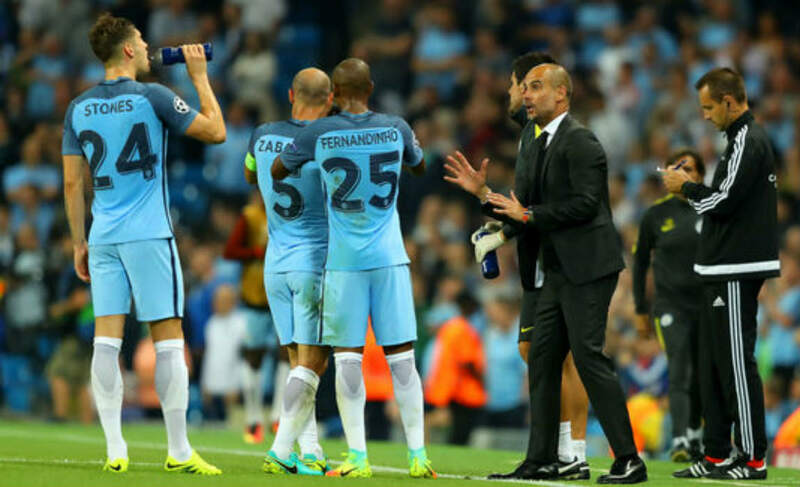 Guardiola is elated after his side’s perfect start to the Premier League campaign but he accentuated that he has demanded more from his players after their recent 3-1 triumph over Swansea City last week. 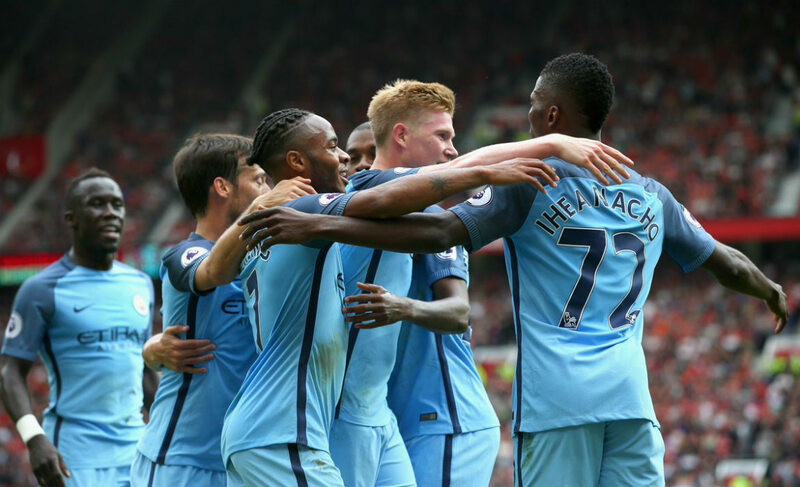 Man City are set to face Celtic in Glasgow on Wednesday in the Champions League group stage match and Guardiola is desperate to maintain the winning streak before facing Tottenham and Everton in upcoming Premier League fixtures.